While speaking to Lilian Garcia on the latest episode of Chasing Glory, Lana revealed that she and Rusev would no longer be involved with Total Divas since E! Network executives dropped them from the reality show. 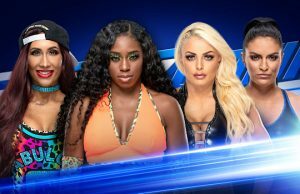 We now know that one of Lana’s peers on SmackDown LIVE is taking her place on Total Divas. 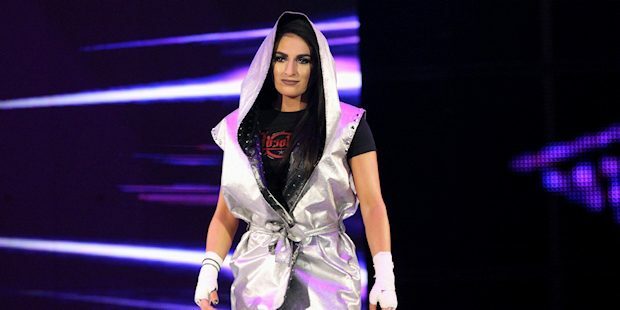 Sonya Deville called into Afterbuzz TV’s show recapping the latest episode of SmackDown LIVE to announce that she’ll be appearing on season nine of Total Divas. “Part of being a WWE Superstar to me is showing the fans what happens outside of the ring. Who I am in the ring, and in my personal life, is important to defining my character. I’m tough for a reason. I’ve been through things and I am the person I am for a lot of reasons,” Deville said. Sonya says filming for season nine begins this week, but a little bit of filming was done during Royal Rumble weekend in Phoenix, Arizona. Deville also says her relationship with her girlfriend will be showcased. Deville also talks about competing in this Sunday’s Elimination Chamber Match to crown WWE Women’s Tag Team Champions. You can listen to the interview below as Deville calls in at the start of the show.